Embassy inauguration caps Eritrean president’s landmark visit to Ethiopia aimed at cementing lasting peace. Eritrea has reopened its embassy in Ethiopia in further evidence of a rapid thaw between the two countries that a week ago ended two decades of military stalemate over a border war in which tens of thousands died. 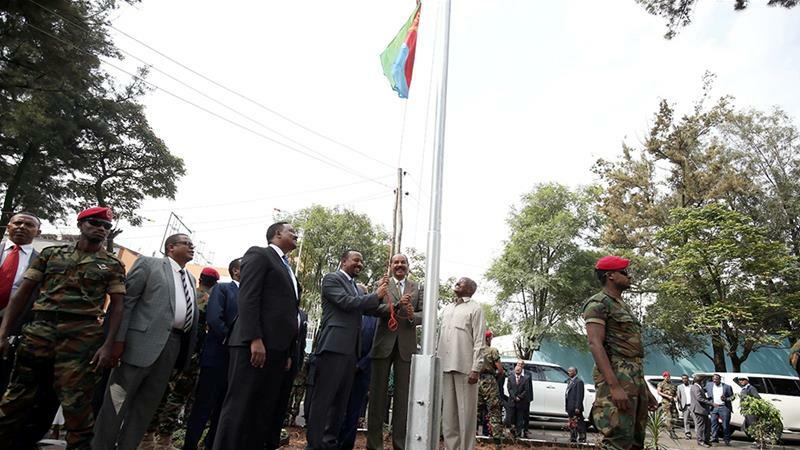 In a brief ceremony on Monday, Ethiopia’s Prime Minister Abiy Ahmed and Eritrea’s President Isaias Afwerki jointly raised the Eritrean flag inside a newly refurbished embassy as a military band played Eritrea’s anthem. About Welcome Qatar the say is the most valuable domain and website for your country. The nomination of Qatar to host the Fifa World Cup 2022 gave birth to the idea for the website, given the opportunities it presents for the country. Attracting the attention of the entire world, the world cup will encourage international business investments, help the hospitality industry to flourish and encourage cultural exchange between Qatar and the rest of the world.